Krish Subramanian as the Director of OpenShift Strategy at Red Hat has recently been blogging a lot about PaaS, DevOps and the “Modern Enterprise” which is inspired directly by Jonathan Murray’s Composable Enterprise. PaaS and DevOps are complimentary according to Krish. PaaS allows developers to work at a higher level of abstraction. They can accomplish application-level feats without having to worry about the details of the underlying infrastructure. DevOps is about aligning the interests of developers, operations and the business. DevOps uses tools to facilitate and automate operations such as configuration management and deployment. But DevOps is also about changing organizational culture. Tools and Culture must both change in parallel to achieve the agility and alignment expected of DevOps. Krish argues that PaaS in general and Docker in particular is an important part of DevOps tools and culture…going beyond just configuration management and process automation because you can encapsulate applications and their environment within PaaS/Docker. The Minimal Function - work with the minimal ‘atomic’ functions that your enterprise needs. Least Dependency - eliminate the dependencies between functions (Krish uses the term Portability). Shared Knowledge - max­i­mize safe access to data to the broad­est audi­ence. Predictable Contracts - every function defines its inputs, authorizations, output products and performance guarantees. Maximised Human Value - humans only do what can’t be automated. The last three principles, explains Krish, align well with DevOps—application context (metadata) is documented and shared across the organization, monitoring is ubiquitous, ensuring advertised performance guarantees and of course we automate everything we reasonably can. Elastic Infrastructure - scale up and scale down based on demand. Auto Everything - architect the technology fabric to minimize human intervention. Integrated Analytics - business decisions from an integrated data repository (which we can extend to operational analytics). These functions I agree are enabled by PaaS and DevOps which are important ingredients for your Composable Enterprise. But there’s still a lot left over, namely people services, process services, data services and the compositional capability to meet changing business demands. The ability to compose services is the critical ingredient and I would argue the harder piece in the Composable Enterprise. Another problem that PaaS has to clear up for the Composable Enterprise is its identity. PaaS remains an ill-defined concept and comes in a lot of flavours beyond the “container” model represented by CloudFoundry and OpenShift. Krish and a few other cloud luminaries covered this in a recent InfoQ round table. The container PaaS really only addresses applications/services that you have developed in-house. Certainly Warner Music Group seems to be heavily weighted toward the build side of the build/buy equation. 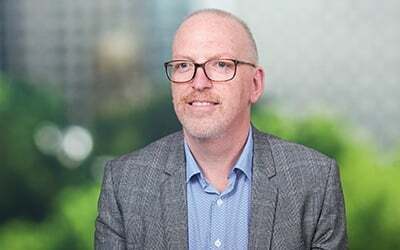 News Corp Australia is pursuing a different approach to the Composable Enterprise where they source best of breed applications to compose and support their business. Many of these best of breed applications are sourced outside the organization via SaaS. This is the way the vast majority of future enterprises will work. They will source “minimal function” services from whichever provider makes the most sense—SaaS providers for commodity or best of breed functionality, or in-house developed services for proprietary or strategic capabilities. PaaS will have to address consumption of services from external parties which sounds a lot like an iPaaS such as CloudHub, which News Corp uses. So I agree with Krish that DevOps and PaaS are important ingredients for the Composable Enterprise, but this is only a part of the answer. More attention needs to be paid to consumption and composition of services. Whether services are provided from inside or outside the enterprise, consumption and composition are critical concerns.